What’s Better: An A in a Regular Class or a B in an AP Class? Colleges want to see students get good grades in tough classes. This seems like a pretty tall order, but it makes sense: Students who can get good grades in hard classes are more likely to be able to succeed in college courses. This tug of war between grades and course rigor gives a lot of students pause – how do you find the right balance to make sure that you’re checking off both boxes? When you’re picking your classes for the next school year, should you take regular US History, where you know you can get an A, or AP US History, where you’re pretty sure you’ll end up with a B? It’s better to get an A in an AP class. Start out slow: Depending on your school, you might have a lot of freedom to load up on AP classes as a sophomore or junior. A word of advice – resist the temptation. When you’re taking your first AP classes, start with just one or two AP classes and add more each year. Starting your AP experience with a full load of 5 AP classes is like training for a marathon by running 26 miles on your first day. Know your limits: If you’re a varsity athlete, an officer in Key Club volunteering 20 hours a week, or peer tutoring all weekend every weekend, you probably don’t have the time to take 4 or 5 AP classes and still get A’s. Likewise, if you just hate reading and history holds absolutely zero interest for you, getting A’s in AP history classes is a pretty tall order. Know yourself, recognize your limits, and work with them. If you know you won’t be able to do the work to get the A in that AP class, think twice about taking the class. Be ready to put in the work: AP classes are no joke. If you want to get an A in an AP class, be prepared to do a lot of work. You’ll need to be able to engage in self-learning, take detailed notes in class, and study consistently for every test and quiz. In English or history classes, be prepared for a lot of writing assignments; in math or science classes, be prepared for mind-bending problem solving tasks. Build a support system: Don’t be afraid to seek help with all that work. Whether it’s a study group of fellow AP students or a tutor from C2, having a strong support system to help you master key knowledge and keep you motivated through the AP obstacle course can be the difference between an A and a B. If you take AP classes and get B’s, don’t worry too much. 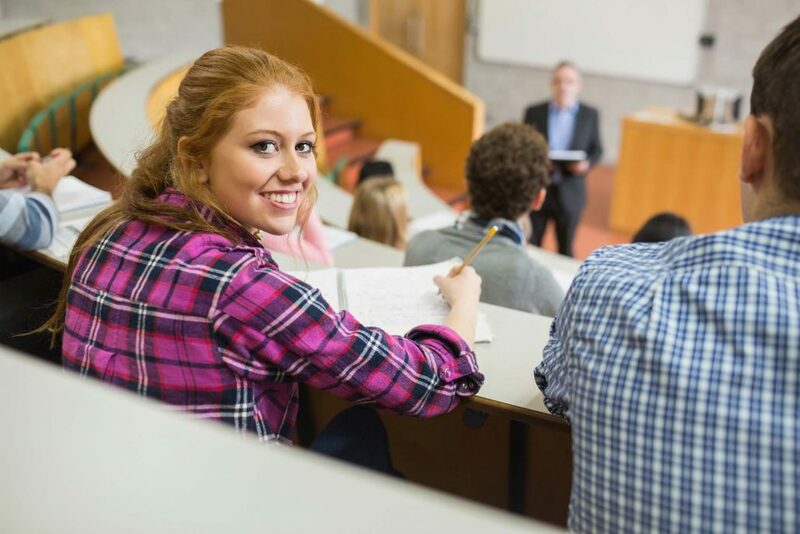 Colleges take the difficulty of your classes into consideration, and a lot of admissions officers are impressed by students who challenge themselves with the tougher courses. Don’t be afraid to reach out for support – from friends, classmates, older siblings, AP teachers, or C2 tutors – and always do your best. https://www.c2educate.com/wp-content/uploads/Student-listening-to-less-in-AP-class.jpg 1414 2121 C2 Education https://www.c2educate.com/wp-content/uploads/logo.png C2 Education2017-12-21 10:17:262018-01-10 18:08:39What’s Better: An A in a Regular Class or a B in an AP Class? On the Bright Side: Handling a Bad SAT or ACT score Are You Ready for the February ACT?